There are endless opportunities at university for self-enrichment and to develop new skills, sometimes the sheer number can be overwhelming. Brandon Lam, Bachelor of Commerce student and Chancellor Scholar, reflects on his journey so far and shares his tips for new students. Companies value soft skills developed through teamwork, industry experience, and networking, alongside academic merit. Lam emphasises that “the invaluable opportunities offered as part of studying the Bachelor of Commerce is an abundance of social experiences and services at an exceptional level”. These enrichment opportunities range from events held by clubs and societies to work-integrated learning subjects, such as Street Finance and Management Consulting. One of Lam’s most memorable events that he attended in 2017 was the FMAA Down-to-Business Luncheon. The University and Faculty offers an abundant amount of scholarships to prospective and current students. Lam, who is part of the Chancellor Scholars Program, benefits from access to workshops and networking events with alumni and current scholars. “These events gave me the opportunity to build strong relationships with scholars past and present,” he says. “I have learnt so much from their experiences”. 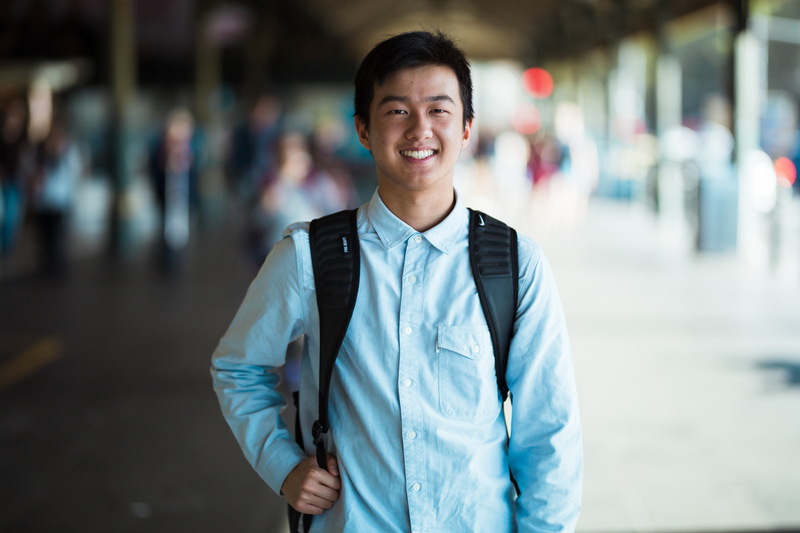 Expanding on his desire to embrace all the benefits the university offers, Lam recollects how talking to students returning from exchange sparked an interest in having his own overseas experience. In addition to the exchange opportunities in 39 countries, students have the freedom to study abroad at prestigious universities such as the London School of Economics. The Faculty also offers unique overseas work placement subjects. Be prepared. University may seem overwhelming at first, but don’t be afraid to take up the opportunities and experiences that are offered to you. Take time. It’s common to not know what you want at this stage, so explore various disciplines. Persevere. If you find the subject interesting and can see yourself doing it, keep going even if you find a subject difficult. Be open-minded and patient with the people you meet and the situations you are in. Do your readings before lectures! Lam is excited for what is to come in 2018 and for the people he has yet to meet. While continuing to study diligently and keeping up his stellar grades, he also plans to increase his network through going to more varied events. The opportunities around you in university are never-ending, take control and be adventurous! Want to learn more about programs offered by the Faculty? Find out more about Enrichment Programs here. All the best to everyone starting at university in the upcoming semester!